The former ancestral home of a famed village Ayurveda Doctor ‘Veda Mahattaya’, this property has now been styled as a charming and exclusive Boutique Hotel. Nisala Arana is set on four and a half acres of coconut estate and Bawa designed tropical gardens minutes from Bentota beach and the Indian Ocean. The front lawns and yoga pavilion offer peaceful spaces for the practice of meditation and yoga. Nestled in the tranquil gardens, Nisala Arana offers a perfectly idyllic setting for you to relax and heal your body, mind and spirit with yoga and meditation. 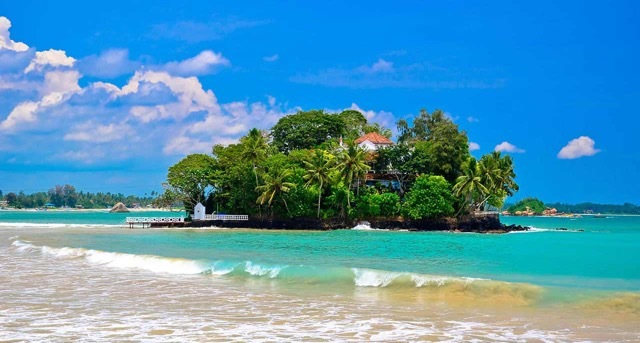 Look forward to a pleasantly calming discovery of Sri Lanka and rediscovery of your inner peace! 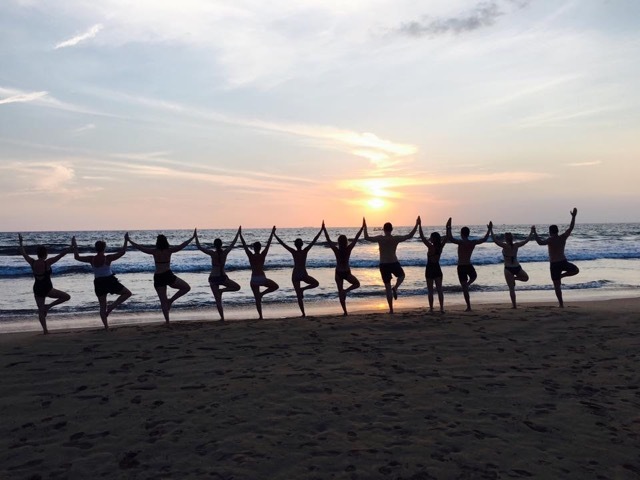 Wake up to the sounds of monkeys and birds amongst the palm trees and then wander over to the Yoga shala for a revitalising morning yoga flow to revive you from the inside out. Relax by the pool in the shade or take a tuk-tuk to the beach, local markets and temples, end the day with a Mindful yin/restorative to open the energy channels and re-align your Qui. The climate, the people, the culture, the yoga and the meditation will revive and revitalise your body, mind and soul. • 3 hours of yoga daily except for excursion day. • 7 vegetarian Brunch’s and 5 evening meals to allow your own evenings out to explore. • Complimentary drinking water, afternoon tea and cakes. • Mini Adams Peak Boat Trip 4 Hrs Take a longer ride and visit a remote village far up the river and make a short climb up to the Famous “Mini Adam’s Peak” Temple. Breathtaking views and unspoiled scenes of village life to be enjoyed along the way. • Any non-scheduled food or drinks. There are many extra excursions and activities one can do and your welcome to arrive earlier or depart later, we can arrange a fantastic extended itinerary for you should you wish.